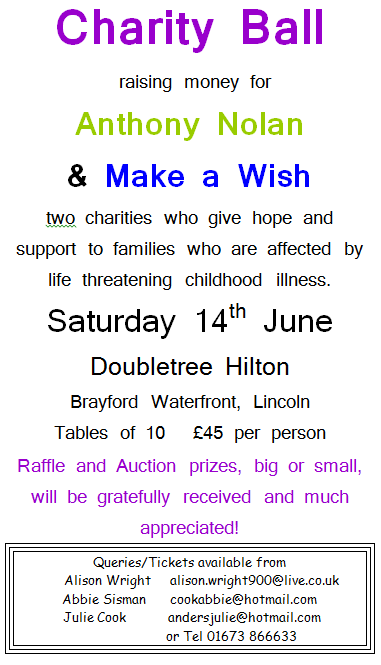 John Sisman, a regular Youth Development player at Lincoln Hockey Club, is holding a Charity Ball in June. This is to raise funds for the Anthony Nolan and Make a Wish charities. Anthony Nolan and Make a Wish are two charities who give hope and support to families who are affected by life threatening childhood illness.